It’s often talked about by other websites that the Hunt mechanics in Final Fantasy XIV: A Realm Reborn, a feature that seems to have been made for MMOs that originally appeared in Final Fantasy XII, is broken. Players say it’s broken because people are using elite marks to farm Allied Seals, Allaghan Tomes of Mythology, and Allaghan Tomes of Soldiery that higher level players need to upgrade their armor and weapons at the current max level of the game. There’s a lot of mistrust, competition, and deception surrounding hunting elite marks in general, especially when it comes to engaging said monsters, and often times people are quick to blame one another for engaging too early or not respecting other players who want in on the action. Me: So you don’t do B, A, and S rank elite mark hunts? Them: I do all the other hunts, but I do not hunt in a LS (Editor: a linkshell, an exclusive chat channel). Them: Because there’s a lot of competition that happens between hunting LSes, and you have to trust that the people there are telling you everything that they find. It’s not fun to hunt monsters that we can’t hunt by ourselves! Hunting LSes also have an advantage over the regular person who just wants to find things themselves. I’m hoping they fix it in today’s maintenance. I really don’t like hunt LSes. Me: So do a lot of Japanese players think that hunt LSes are unfair? Them: Of course. So we’re hoping it gets fixed. But I don’t see these LSes as the enemy. If I see an elite mark, I tell my FC… but my FC is only composed of 10 people and they tell other people if we need more. I really don’t think people need to log marks and their locations and I wish people would just play the game as is and not its mechanics. 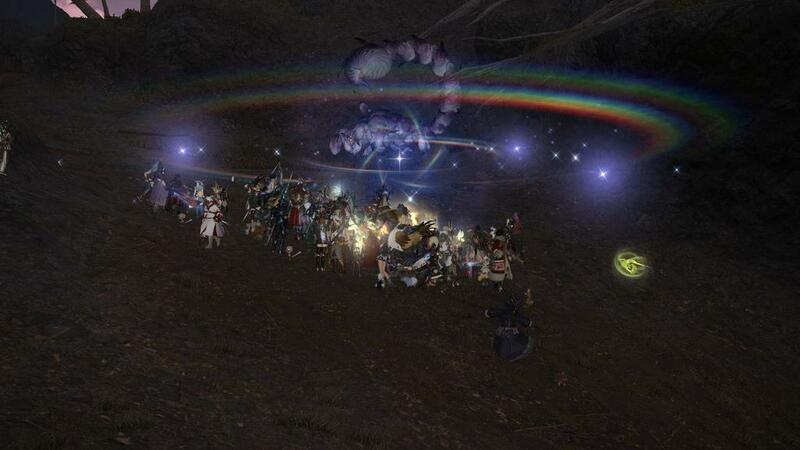 If you play Final Fantasy XIV: A Realm Reborn, what are your thoughts on Hunts in general? Could it be improved? How would you improve it? Sound off on the comments below.